With a variety of styles and sizes of meeting spaces, the History Center is the ideal location for your next meeting, seminar, retreat or conference. 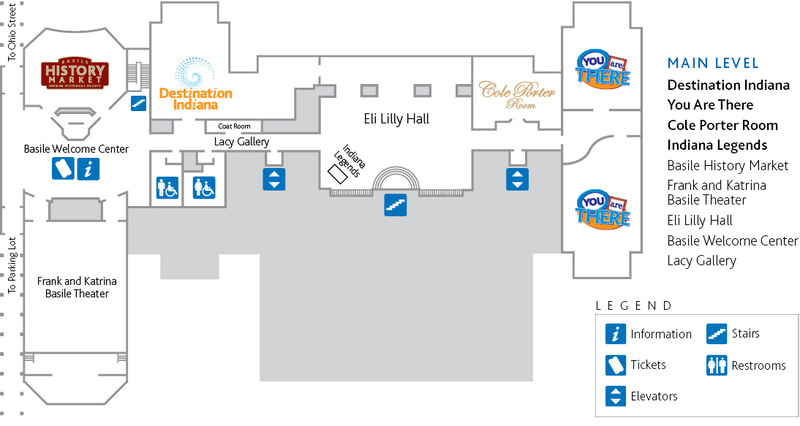 Let the IHS event staff help you get the most out of your next meeting or conference. For further information or to schedule a site visit, please email rentals@indianahistory.org or call (317) 234-0081 or (317) 234-7722. Let the IHS event staff help you get the most out of your next meeting or conference. The distinguished Mary O’Brien Gibson Boardroom, located on the fourth floor of the History Center, offers a spectacular view of downtown and White River State Park. Seating is available for up to 30 at the handcrafted board table. For larger events, the board table may be divided into smaller tables to accommodate up to 56 people or can be figured for a standing reception for 100 guests. The Venetian lighting, cherry wood floors and handcrafted furniture will certainly impress your guests. 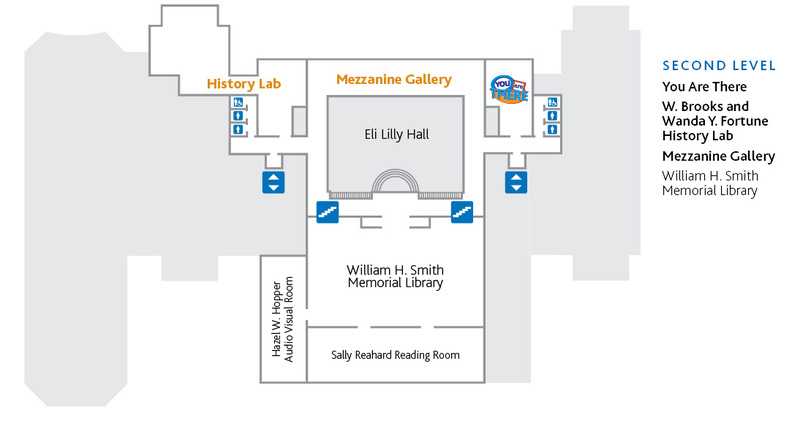 The adjacent Emison Room and Corson Conference Room may be used for additional meeting areas, ideal for breakout sessions. 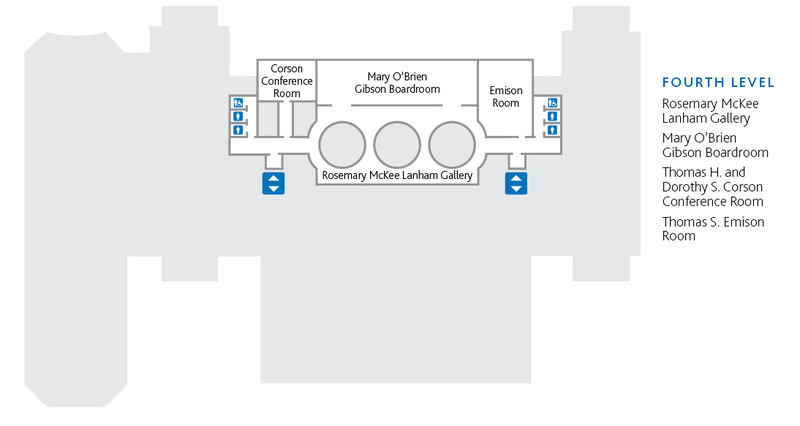 The Emison Room, which is adjacent to the Mary O’Brien Gibson Boardroom, provides an excellent option for breakouts, small business meetings or luncheons. The Emison Room can accommodate up to 16 guests. This small conference room adjacent to the Mary O’Brien Gibson Boardroom is perfect for small business meetings. Seating for 12 guests around the original boardroom table of the Indiana Historical Society provides an intimate space for brainstorming sessions and other meetings. Our intimate 290-seat Frank and Katrina Basile Theater wows audiences as they walk in to take their seats. Classically designed, elegantly decorated and acoustically sound, it can accommodate many types of performances, presentations and seminars. Comfortable seats positioned in wide rows allow for easy access and perfect visibility of the 40-foot by 22-foot stage. The Basile Theater is equipped with a complete lighting and sound system operable from a AV projection booth with backstage communication. Other in-house equipment includes an on-stage retractable 16′ x 12’screen, LCD projector, Blu-ray player, and assisted listening devices. A podium and a 9-foot Steinway grand piano are also available for use. Backstage amenities include a green room — with dressing rooms and a rehearsal space. This room can be divided in half by an automatic room divider and is equipped with audio-visual systems. 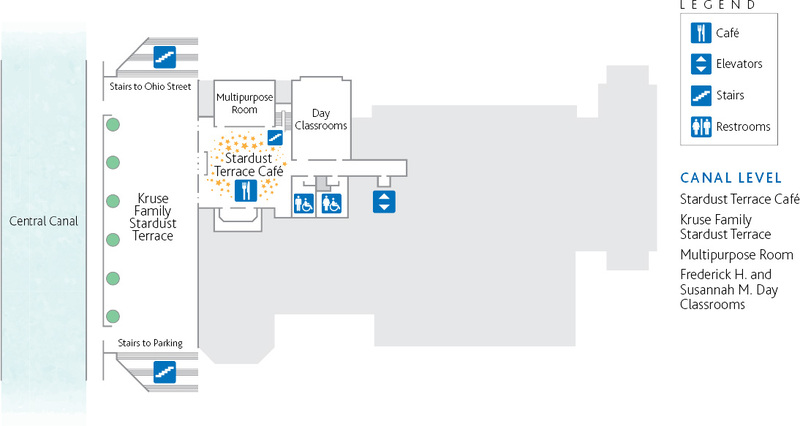 This room is equipped with audio-visual system and opens onto the Stardust Terrace Café and in just a few steps, you can be outside on the beautiful Kruse Family Stardust Terrace. - Tamara Zahn, former president, Indianapolis Downtown Inc.